Maggie is a seasoned C-level executive specialized in marketing, business transformation and technology. 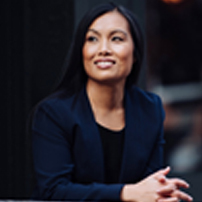 She is also an entrepreneur, and the Founder and CEO of Tenshey, Inc., a tech-enabled startup with a mission to advance gender diversity and leadership development through executive coaching. Prior to becoming an entrepreneur, she was the first woman to become the global chief marketing officer (CMO) of SAP, responsible for leading SAP’s advertising and brand experience, sponsorships, digital marketing, strategic events, customer audience journey, and field and partner marketing functions across all markets. During her tenure at SAP, Maggie led the transformation of the SAP brand to becoming the world’s 21st most valuable brand, delivered double-digit growth in marketing contribution to business, and advanced people skills development to compete in the digital economy. She was also an executive sponsor for diversity and inclusion in the CEO Board Area and part of the SAP Innovation Roundtable. Prior to joining SAP, Maggie served as the inaugural CMO of North America region at Level 3 Communications, where she led the transformation of the marketing function by sharpening the focus on more profitable customer segments, and creating customer-journey oriented marketing programs. Maggie spent over seven years at Microsoft Corporation before joining Level 3, where she was the marketing director of U.S. Cloud Services and Office 365. Prior to her role at Microsoft, Maggie held leadership and marketing positions at Sun Microsystems and ADIC. Maggie has been frequently recognized as an industry thought-leader. She was honored as the 15th of the World’s Most Influential CMOs by Forbes in 2017. She was acknowledged for creativity and storytelling by the CMO Club Awards, named a Top Ten CMOs on Twitter, Top Ten Most Interesting B2B Executives, Top Woman in Brand Marketing, and Woman of the Year. She currently serves on the Board of Directors for the Johnson NYC Club at Cornell University. Maggie received her undergraduate degree in business management from Binghamton University and holds a master of business administration (MBA) degree from Cornell University.